Libertarians are proud of having great solutions to political and economic problems, but how we convey those ideas is just as important. Josue Anderson has over 10 years experience teaching competitive debate, and has developed a program specifically for liberty advocates to help them take their persuasion skills to the next level. 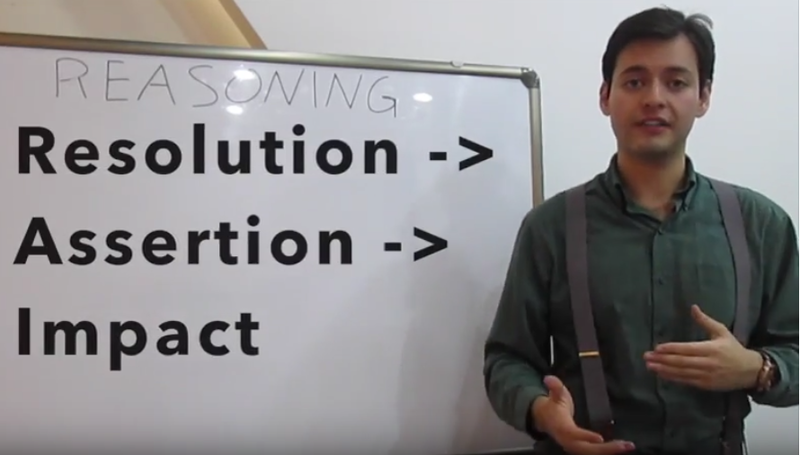 In this 3 part course, you’ll learn the essential skills of debating, from crafting a precise assertion, to developing powerful arguments, and finding holes in your opponents claims. You’ll also learn the tactics that allow you to perform well under time pressure and make an impression on your audience. This course is great for anyone considering running as a political candidate, as well as those who are involved in policy creation or public outreach. Even if you’re just looking to be more persuasive in presenting libertarian ideas at your next dinner party, this course is for you. The third session is tentatively scheduled for the last Thursday of Apr, but dates/times may change slightly depending on venue availability. If you register, and the dates need to be changed and you’re no longer able to attend, we agree to provide a refund for the value of the session.